Lightning Bolt has one of North America’s largest inventories of A194 Grade 8M Nuts. This pattern is commonly found as a heavy hex nut. The A194 Grade 8M nut is essentially very similar, however the standards call for these to made from an 316 type of stainless steel. Sometimes, clients want to have their A194 grade 8 nuts strained hardened, which the standards call this a “type 2”. The marking on these nuts will have an underline beneath “8”. 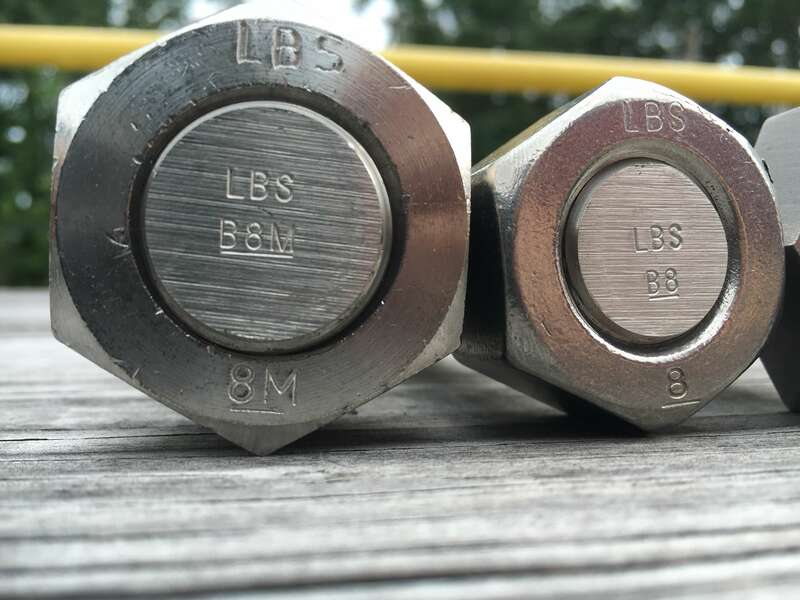 Similarly speaking, the A194 Grade 8M nuts can also be manufacturerd from a strained hardened alloy which would also require and underline beneath the “8M”. If the tasks is requiring the grade 8M nuts to be teflon coated it is no problem. Since we have the capabilities in house, we can ship your a194 grade 8M nuts PTFE blue, green, orange, black (or any other color) same day if needed. It should be noted that nuts that are to be PTFE coated must be overtapped .010″ oversized to accomodate for the coating. 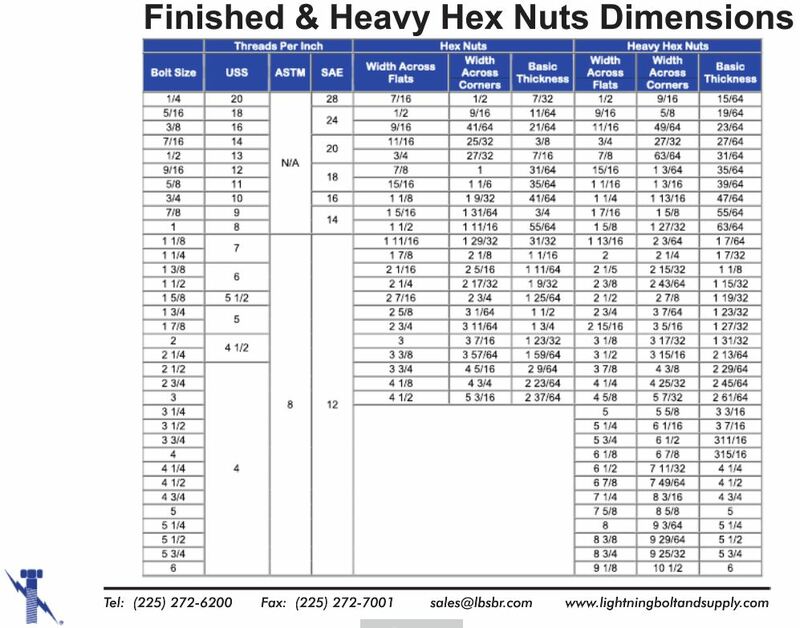 Below is listed the difference in dimensions between standard (finished) hex nuts, and heavy hex nuts. Why Lightning Bolt for A194 Grade 8M Nuts? Being centrally headquartered in Baton Rouge, Louisiana, we are capable of shipping to jobsites all over the world. 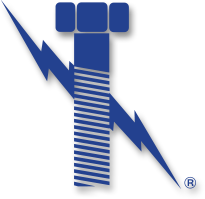 Many of our industrial projects that we supply material to include anchor bolts, and also stud bolts of many different ASTM grades. These include B7, L7, B16, B8, B8M, stain hardened and many more. In addition to being an ISO certified fastener manufacturer, we were awarded “Corporate Supplier of the Year” by WBENC and are also a certified WOSB.